Italian designer Joe Colombo (1930 – 1971) believed in democratic and functional design. Flexible and convertible objects and furniture meant to be used in many different ways – all for the benefit of the user. One of these designs was his ‘2 in 1’ glass drawn in 1965. 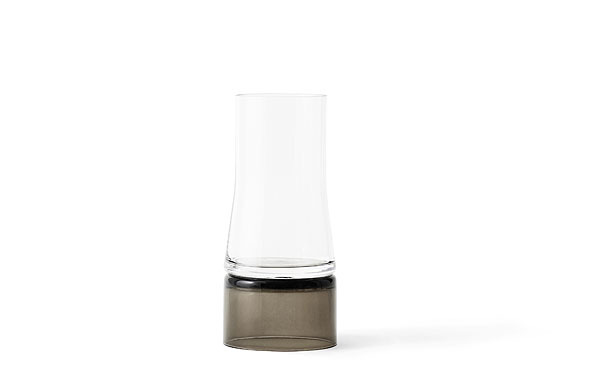 The design consisted of two separate glasses melted together at the bottom. Lyngby Porcelain now brings the distinct shape of the ‘2 in 1’ to life. 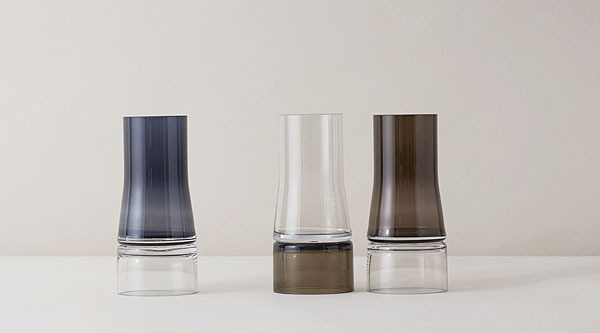 Not as a double drinking glass though – but as an elegant and upright vase. 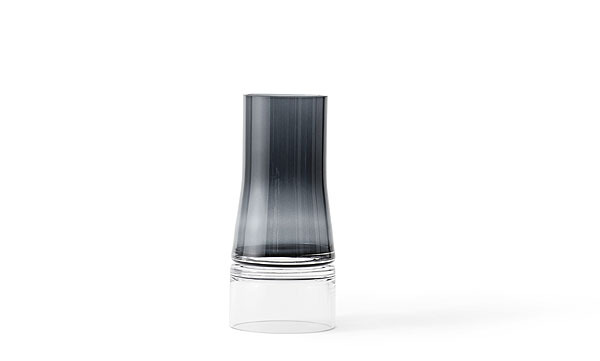 Sizes and colours have been adjusted in reference to the original design and Joe Colombo Vase will launch in mouth-blown glass in four colour variations. Joe Colombo (1930-1971) worked according to the precepts of democratic and functional design. As a designer, he created highly versatile and flexible furniture – for the pleasure and benefit of the user. In his lifetime, he expe- rimented with new materials and the latest technology, designing visionary ”machines for living”, several of which have achieved iconic status as symbols of the modern lifestyle. Colors : (top/bottom) Clear/Clear, Clear/Blue, Brown/Clear, and Clear/Brown.